We've partnered with Auckland iwi Ngāti Whātua Ōrākei to provide free universal private health insurance for all members of the hapū to help improve their health and wellbeing outcomes. The agreement will give all New Zealand-based registered members of Ngāti Whātua Ōrākei base cover for surgical and medical (non-surgical) hospitalisation, a specialist option which covers specialist consultations and diagnostic procedures that don't require hospitalisation, and an everyday option to assist with some day-to-day health costs like GP visits, dental, physiotherapy and optical costs. "This is a hugely significant opportunity for our hapū. For Ngāti Whātua Ōrākei to be in a position to deliver private health insurance demonstrates our desire to look at innovative ways of providing tangible benefits for whānau and supports our commitment to our vision of Kia Rere Aorangi te Kāhu Pōkere ki ngā taumata tiketike." Under the nib scheme, hapū members will get faster access to private hospitals and help with the costs of non-urgent medical procedures. Joining the scheme is free for ngā uri o Tuperiri (registered members of the Ngāti Whātua Ōrākei Trust) and all their insurance premiums and any payable excess will be paid for by Ngāti Whātua Ōrākei. "Although the public health system and ACC provide support for accidents and acute care, it is well known that Māori are over-represented in negative health statistics, and on top of that, the health system in Auckland is at breaking point. We are committed to improving the health and wellbeing of our babies right through to our kaumātua." says Royal. Most pre-existing conditions will be covered if members join the scheme by 3 July 2018. Non-hapū family members (children and spouses/partners of ngā uri o Tuperiri) are also entitled to join the plan at their own expense. In addition, the nib health and wellbeing programme gives members control of their health options through personalised proactive wellness tools, such as nib's myhealthHQ online wellness portal. A health management and intervention programme will also be implemented for Ngāti Whātua Ōrākei to track and manage population health outcomes. The portal will allow identification of health trends among the hapū to enable relevant and appropriate interventions to the health challenges members face. Our Chief Executive Officer, Rob Hennin, says the Ngāti Whātua Ōrākei scheme is the first of its kind and will help members of the hapū to overcome existing barriers to health, wellness and social care. "We are proud to be partnering with Ngāti Whātua Ōrākei to deliver this innovative programme. 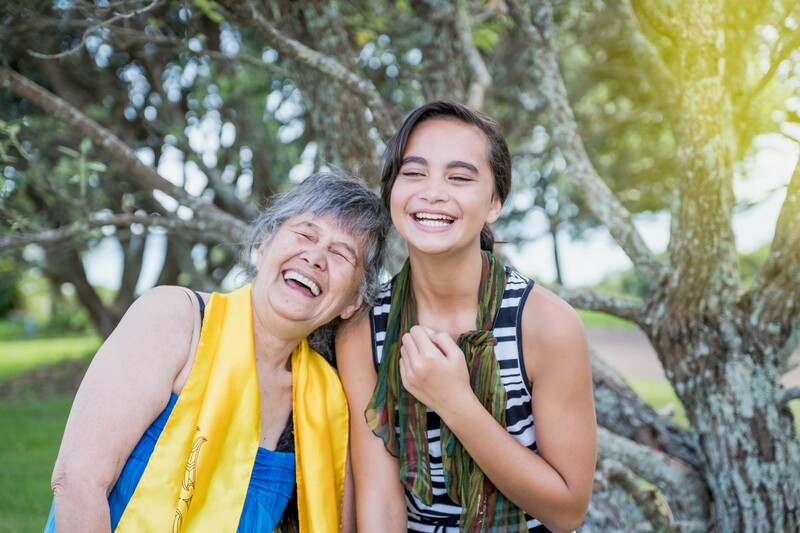 Not only will it help hapū members fund their healthcare needs – it also aligns with traditional Māori principles and encourages them to take proactive steps to improve the health and wellbeing of future generations." Mr Hennin said. "This partnership is also a demonstration of how private health insurers can help facilitate access to healthcare for all New Zealanders by encouraging them to take greater responsibility for their health needs." he added. To further cement the partnership with Ngāti Whātua Ōrākei, we've also employed two hapū members to help with setup of the project and facilitate the sharing knowledge and skills between the two organisations. The programme will be available from 4 April 2018. For more information click here, email ngatiwhatuaorakei@nib.co.nz or call 0800 642 696.